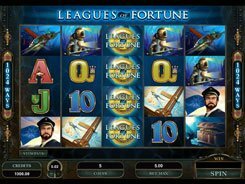 Leagues of Fortune is a 5-reel slot based on a 1024 ways to win system. 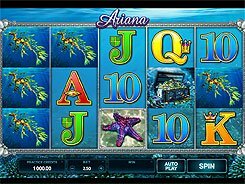 Instead of a classic 5x3 field, Microgaming has designed the game with 4 rows, thereby giving players more chances to create winning combos and score big. 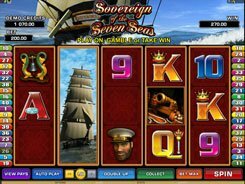 The slot is devoted to a sea exploration theme and is inspired by Captain Nemo’s undersea adventures. Before every spin you can configure your bet size by changing the number of coins (1–10) and a coin value (up to $0.1). The minimum wager per spin is $0.5, while the top bet reaches $50 per spin. 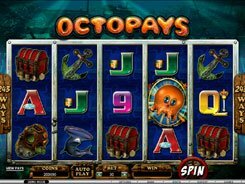 On the reels, you will encounter Captain Nemo himself, Nautilus, a map, a man in a heavy-duty diving suit, and other themed symbols complemented by classic playing card icons. 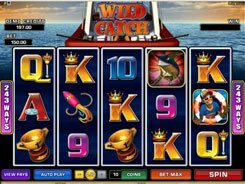 The slot features a wild symbol that comes stacked on all reels and substitutes for other icons. 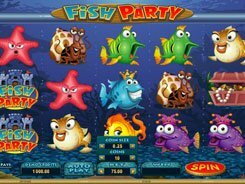 Perhaps the most gainful feature in the slot is 15 free spins awarded for hitting three or more scatters. During the free spins you stand the chance of winning $750,000, since all wins pay x3 a regular win.